The kit is shipped factory pre-filled, ready for plug-and-play installation, and it is maintenance free during its warranty period. 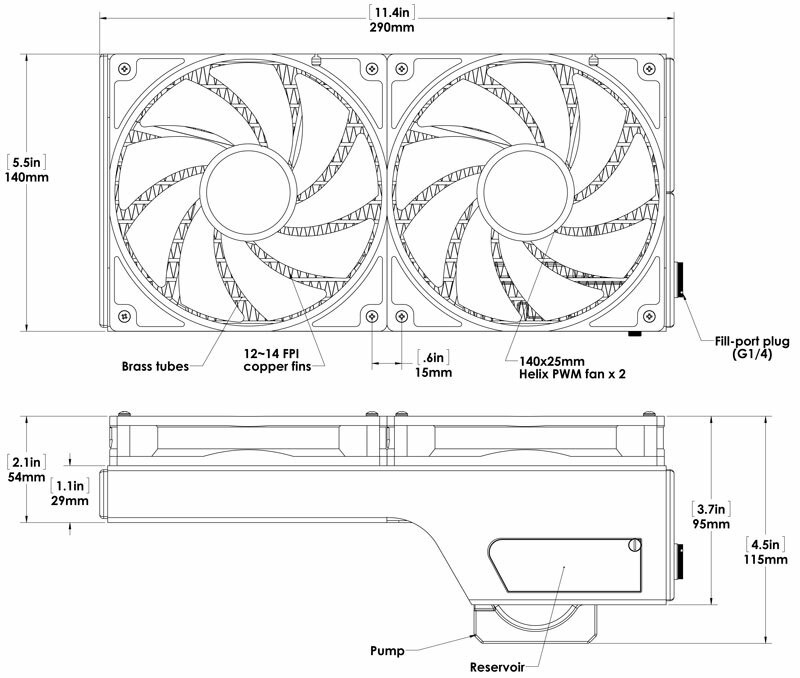 Both Swiftech's powerful MCP30 pump and high-pressure Helix fans are PWM compliant devices, allowing the H240-X to be recognized and speed-controlled by the motherboard depending on CPU temperature, just like a regular cooling fan. As a bonus, the system also includes our PWM splitter allowing connection of up to 8 PWM devices which can then be controlled as one by the motherboard. Finally, thanks to a clear and user-friendly pictorial installation guide, it could not be easier to install and setup! The system can be entirely customized thanks to easily replaceable tubing and fittings. Thanks to its powerful pump it can support additional liquid cooled components such as graphics cards and/or additional radiator(s). The factory fittings can now be upgraded to any G1/4 compatible after-market fittings (an optional adapter is needed for the pump outlet and is available here, which allows enthusiast users to upgrade their system to 1/2" ID tubing if they wish to. thanks to a revised placement of the pump and reservoir, the H240-X radiator is now the most compact dual 140mm heat exchanger on the market, thus facilitating installation of the unit with any dual radiator compatible case. 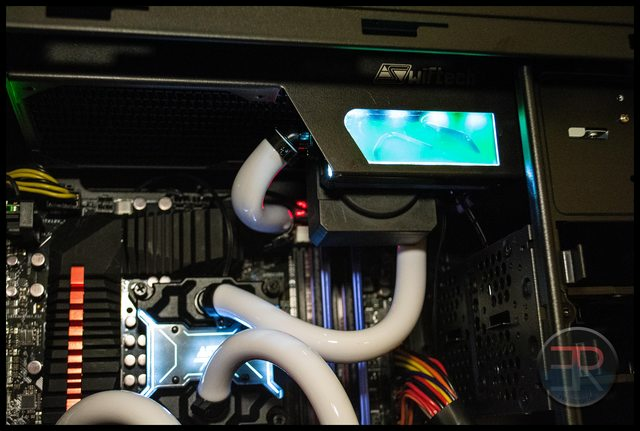 the reservoir is now transparent and LED backlit, allowing users to inspect the coolant level while enjoying the inner workings of the pump as can be seen below in a customized system featuring the smaller H220-X that we presented for CES 2014. Finally, as an immediate benefit of this configuration we were able to use our new extreme performance flagship waterblock the Apogee™ XL which resulted in enhanced thermal performance and flow rate, not to mention superb cosmetic appeal thanks to the XL's multi-color back-lighting capabilities. 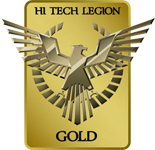 While only recently released, the Apogee XL has already received two Gold Awards below. The H240-X carries Swiftech limited 3 year warranty.